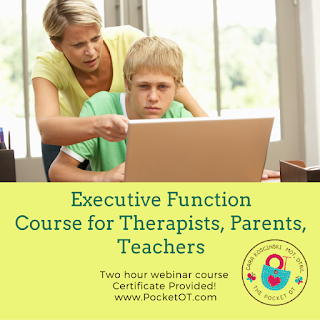 Executive function difficulties commonly come along with (are co-morbid with) many disorders. What are executive function skills……Check out our earlier blog post here for 5 quick facts. Children who have been diagnosed with: ADHD, learning disabilities, autism, sensory, auditory, among many others experience dysfunction in working memory. What IS this skill? Our brains need to remember information in order to use it in a functional way. When you remember a phone number or the spelling of someone’s last name in order to store it in your phone, you do not need to commit the information into your long-term memory. You simply need to remember it for a brief and fleeting moment of time in order to use it. Since it’s not critical to your body’s survival, there’s no need to store it. Similarly, children use their working memory when copying information from the Smartboard to their paper. They read a chunk of information, repeat it in their heads as they transfer that information to their notes. If you consider that children use the same process in order to complete a word problem in math class. The order of operations, doing ‘mental math,’ OR remembering if the problem calls for multiplication, division, etc. is critical in order to get the correct answer. Here’s more information about how children use working memory from Understood.org. Working memory is a small but mighty part of our executive function tasks. 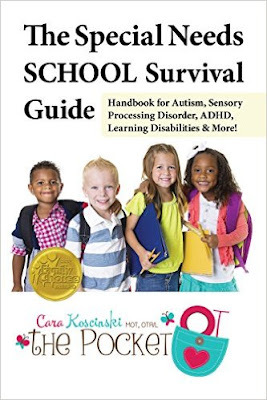 I discuss this in my courses for OTs as well as in my book, The Special Needs SCHOOL Survival Guide. 1) Let your child teach you! Kids love to reverse roles and by teaching you the skill, they retain more information. As a homeschooling mother (and OT) I use this technique daily. Encourage your child to write on the board, draw pictures, act things out and demonstrate concepts to you. This adds fun and employs many brain pathways by adding visuals, movement, and excitement to learning! 3) Reduce the memory load/expectations. Ask your school for accommodations that break information down into smaller chunks. Provide single commands vs. multi-step ones. Use a peer buddy for note taking so that each child can share information. One of the best solutions is to request a copy of the teacher’s notes so that students can highlight critical information as it’s taught in class. Here’s a list of apps that work specifically on working memory. We receive no compensation for any of them. Click HERE for list. 5) Use graphic organizers and visual charts. Remember that the more the student practices these strategies, the better the results will be. 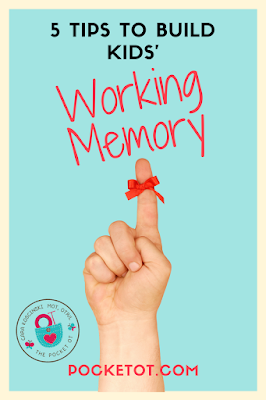 Working memory is a skill used throughout the lifespan and not only when we are children. As with any skill, the earlier we work to build strong pathways, the better the outcomes. Let children have fun while working for the bests success! Let us know if you have any more ideas. Read my earlier post on Metacognition…..another executive function skill.